Jane Austen’s novels continue to inspire adaptations, mash-ups, variations, etc. Some would say aberrations and a sacrilege to the original text. However, the appeal of Jane’s stories won’t go away and people keep wanting more and more. 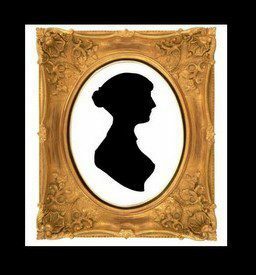 Everybody wants to make Jane Austen their own as Juliette Wells states in her book “Everybody’s Jane Austen”. Many writers, with enough love for her characters, seem to be taken by this irresistible desire to write their own version of the facts and characters. Marcos Berstein is no exception. But his challenge was much greater. He had to write a “telenovela” for the Brazilian audience which usually averages 150 episodes. How can someone accomplish such a task? Easy! Let’s keep adding characters from the other novels and have them interact as if it was a great game and the characters had escaped their own books and jumped into Jane’s darling child – Pride & Prejudice. So let’s start at the very beginning. We have a Darcy and an Elizabeth. She is called Elisabeta which is not even a common variation of the name Elizabeth in Brazil. I wonder why, for a while, and decided that this way when they say her name, everyone will know people are talking about that specific character in that soap opera. Her family is called the Beneditos. A good Brazilian name that reminds the audience of the name Bennet. On this first post, I will just introduce you to the main characters so you do not get overwhelmed, dear reader. There are many more to come after this one. So first, let’s start with the main couple Darcy & Elizabeta. It’s 1910. He is rich. He is British. His father is Lord Williamson who lives in England with his daughter Charlotte (probably a cross between Georgiana and Charlotte). He is in Brazil to take care of his dad’s business – the railway. She is not so rich, her father not a lord but she is very educated and has an independent spirit. She wants to travel the world and have a profession, be someone. Does not believe women are just made for marriage and likes to defy and shock her peers with her ideas. Take a look at the costume she showed up at the Costume Ball given by Emma. Darcy thought she was intriguing! More about the ball: take a look at these gorgeous pictures taken before and during. The outfits were supposed to be from the 1800’s. That’s why you see the hoop skirts. Mr. and Mrs. Benedito are actually a good match. He is not as sarcastic as the original Mr. Bennet but quite the loving father. He is a good listener and Elisabeta is still his favorite. Mrs. Benedito is a ball of energy, never faints or needs smelling salts! She is too busy matchmaking, all the time. She is quite rambunctious and loud as it should be but she has a very appealing quality – the love for her daughters and husband. On the next post, details about all the Benedito sisters who are not who you think they are. There are two sisters whose stories are inspired by our Catherine Morland from Northanger Abbey and Marianne Dashwood from Sense and Sensibility. Can you guess? Stay tuned! Love it!!! This telenovela has been unpredictable! I can not get enough of this telenovela! Marco Berstein is killing! My word! I hope they can translate for all Janeites to watch! So do I, darling. So do I! What fun! Look forward to future updates on this! I would say Lydia is the one with the gloves on! She just has that look! You are absolutely right, Carole! I wish I could watch this, it sounds so much fun! Love the introduction to the Beneditos (and love the link to the Bennets!) The photos are great, the costumes and sets looks amazing. Looking forward to your next post about it! Thanks for sharing this. Saw an article on it in the Willow and Thatch newsletter. Sounds like a novel idea! No pun intended!